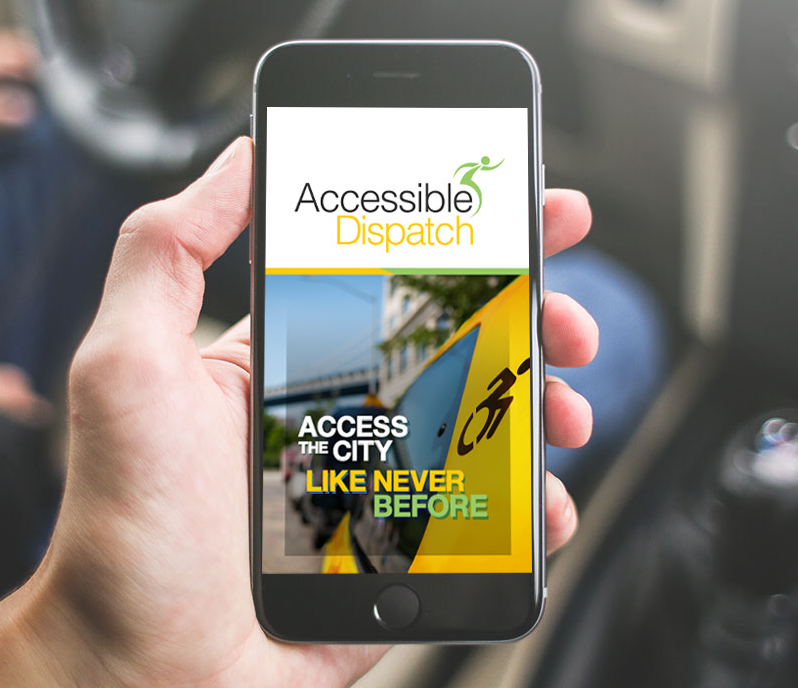 When the Accessible Dispatch program expanded to offer citywide service in 2017, we also introduced a new and improved mobile app that makes it easier than ever for passengers to book trips. 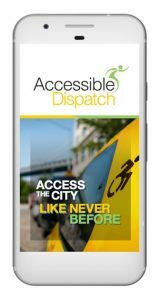 The user-friendly app—Accessible Dispatch NYC—is available in iTunes and the Google Play store, allowing both Apple and Android users to book trips independently without speaking to a dispatcher. 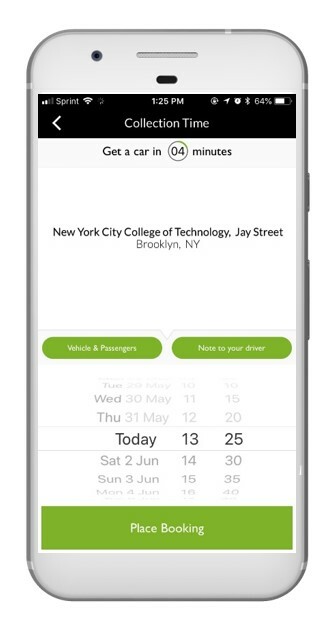 Convenience: Input your trip request information quickly and easily. 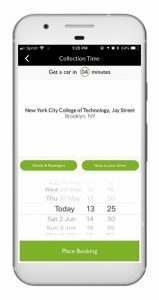 Speed: Create a profile that allows you to save favorite addresses and autofill frequent locations for quicker booking in the future. Choice: You can select the vehicle type you prefer; for example, if you need a hearing loop, you can request a Nissan NV200/Taxi of Tomorrow, and if you have more than one other person traveling with you, you can request an accessible Toyota Sienna or Dodge Caravan. Real-time updates and tracking: Receive an SMS message when your trip is booked, when your vehicle is dispatched, and when your vehicle arrives. Track your dispatched vehicle as it approaches for pick-up, allowing you to know exactly when your driver will arrive at your pick-up location. Ready to use the app? Here’s your easy, step-by-step guide. Step 1: Download the app, Accessible Dispatch NYC, on your smart phone. 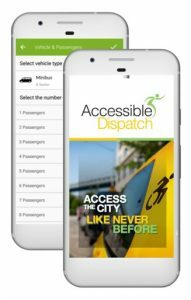 The app is available in both iTunes for iPhone users and the Google Play store for Android users. Once you download the app, you’ll be prompted to register. Step 2: Enter your pick-up address. 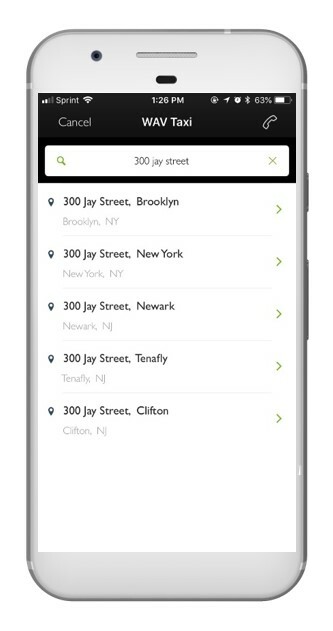 You can also pull up a favorite address from your saved locations. 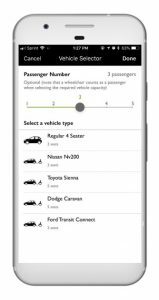 Step 3: Enter the number of passengers (including yourself and anyone traveling with you), select your vehicle type if you have a preference, and add optional notes for your driver. Notes can include any special pick-up instructions you might have. Step 4: Enter your desired pick-up time and hit “place booking” to book your trip. 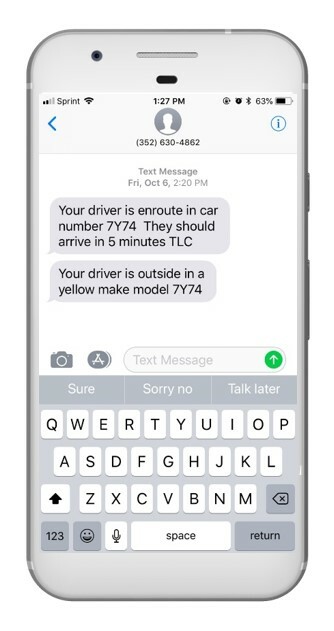 Step 5: Receive confirmation texts after you book your trip, as well as texts when your vehicle is dispatched and when it arrives at your pick-up location. Step 6: Look for your driver at your pick-up location, board the vehicle, and enjoy the ride!